. . . the New York Times, the Washington Post, Yahoo! News, the New Yorker, and CNN. All declined to use this unverified information, with its unclear provenance. . . I have posted several times now some good old basic common sense about how to do valid historical research — according to reputable historians themselves. My point has usually been to try to point out that what we too often read by biblical scholars addressing early Christianity — criteria of authenticity, “triangulation” of social memories, etc — would not be recognized as responsible or reliable methods of discovering what can be known about the past. Here is the same point being made, not by historians, but by sensible journalists and news media editors. I have bolded and underlined the key section. Fusion GPS, an opposition research company (founded by former journalists, it provided information to private clients), had been retained by Democratic Party interests. Fusion had hired Christopher Steele, a former British spy, in June 2016, to help investigate Trump’s repeated brags about his relationship with Vladimir Putin and the nature of Trump’s relationship with the Kremlin. With reports from Russian sources, many connected to Russian intelligence, Steele assembled a damaging report— now dubbed the “dossier”— suggesting that Donald Trump was being blackmailed by the Putin government. In September, Steele briefed reporters from the New York Times, the Washington Post, Yahoo! News, the New Yorker, and CNN. All declined to use this unverified information, with its unclear provenance, especially given that it was about an unlikely election winner. Wolff, Michael. 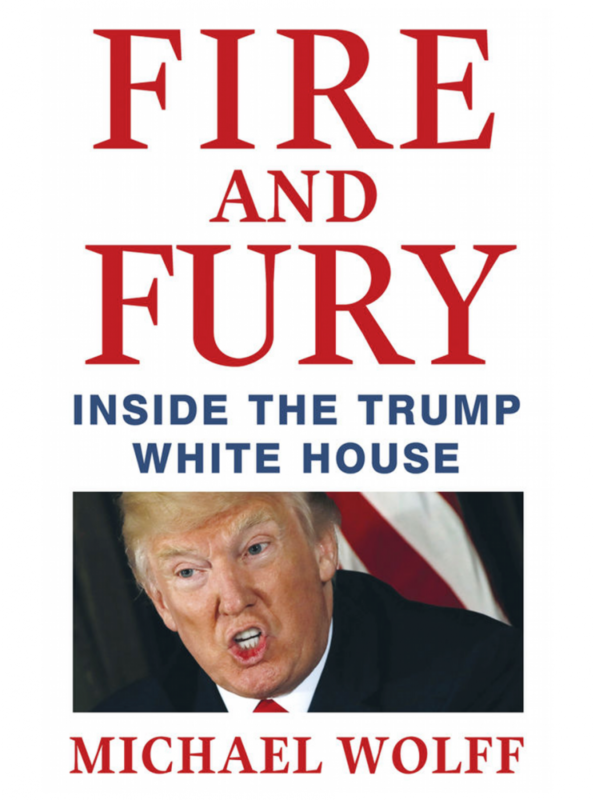 Fire and Fury (Kindle Locations 715-722). Little, Brown Book Group. Kindle Edition. Note. I am not interested in discussing Trump, nor any of the business about Russian connections with Trump or anyone associated with him. Nor even Wolff’s Fire and Fury or Wolff’s own reliability as a “historian”. The sole point of this post is to draw attention to what is evidently considered fundamental when authenticating any information. If a claim cannot be verified, then we need to have very good reasons for treating it as a “fact”. To suggest no-one would make it up or the author was surely passing on what he knew with good reason to be true are not good enough reasons for using the data as a fact upon which to build a historical reconstruction. If we cannot verify the origin or source of the assertion we have every reason to hold the information at arms length until we can have some assurance about who it comes from, whether that person was in a position to know, the nature of the work they were producing, etc. Yep, that means we cannot verify popular accounts of, say, very early Roman history. Nope, that does not mean we cannot verify very rich accounts of Roman history and persons in the last centuries of the Republic and early Empire. But I won’t repeat all of those caveats and consequences etc etc here again. Just drawing attention here to what most of us basically know anyway, even if we sometimes forget it when swept away by the speculative imaginations of some biblical scholars confusing themselves with “historians”. Posted on 2018-01-08 10:58:26 GMT+0000 by Neil Godfrey. This entry was posted in Uncategorized and tagged Historical Method. Bookmark the permalink. A big problem is that fake history (like Jesus being born in Bethlehem) was often par for the course in ancient sources. I would say too that we shouldn’t conclude the historicity of an element in the New Testament just because it seems to be a mundane tidbit. That’s another example worth bottling. I have posted before on the (a)historicity of Lucian’s teacher Demonax. In both cases, even moreso of course in the case of Hesiod speaking of a family member, we have clear instances where the historicity of a person is questionable despite the presumption that contemporaries “would have found him out”. If only you could inculcate this into the minds of your readers more generally. It is very hard to communicate sound research. IMO, very little quality research is received as it should be. My own experience and all the benchmarks, checking, cross-checking – essentially the weeding-out the facts from the chaff of some idea, notion, facts locatable in much written material available today (as print or electronic media) – is that no-one, or few indeed, appreciate the benefit they potentially could receive from such a research effort. I don’t mind this as I know what the process I have gone through is and when a discovery is correct how neatly it fits in. There is great comfort when a researcher gets it right. Please keep up this ‘crusade’ for quality research. Great work. Well done!! Hedrick’s thesis is to challenge the use of the word *certain* to describe the baptism of Jesus by John as historical. He considers it a strong possibility, but would not describe it as certain or probable (311). That Paul knows an oral tradition of Jesus sayings does not entail that he knew an oral story that forms the synoptic “master-narrative” (314f.). No indication in the early literature of the original provenance of baptism as practiced in early Christianity – it emerges in Pauline letters without reference to Jesus’ baptism or a dominical commission (318). Hedrick makes pains to point out not only the lack of evidence for the synoptic master-narrative prior to 70 CE, based on consensus dats, but that there is no physical manuscript evidence for the baptism story until the 2nd-3rd centuries (319). Restates Bultmann’s argument for the baptism as a Hellenistic Christian legend (321f.). Conclusion: to state it as a certain historical event “goes beyond what the evidence allows” (322). My god, it sounds like he’s applying the fundamentals of sound historical method to the gospels instead of using criteriology or memory theory. He best be careful. I have requested a copy of the article and look forward to reading it. As for social memory, Bart Ehrman did the scholarship a serious disservice by his recent book on the topic when he misleadingly reduced the discussion to personal memories. The theory is about social memory and that means a study of what is in the social or public arena. Social memories of Jesus etc are evoked every Christmas, for example. The problem I have with criteriology is that it is unique to biblical studies as far as I am aware. It is not recognized as a valid tool for historical reconstruction elsewhere.